Truck tonnage surged in October after a brief lull in September as shippers stockpiled goods ahead of possible tariffs on imports from China, according to data released by American Trucking Associations on Nov. 20. ATA’s seasonally adjusted for-hire truck tonnage index is 9.5% higher than in October a year ago. Sequentially, the index jumped 6.3% to 119.9 in October from a revised 112.8 in September. ATA calculates the tonnage index based on surveys of member carriers. It is a closely followed barometer of freight-hauling demand. “There are two rational explanations for why freight is strong; one is the strong economy, and two, there is a possible distortion because of the expectation of tariffs that people have been talking about,” Transport Futures economist Noel Perry told Transport Topics. However, Perry said the 9.5% monthly increase is larger than expected and could be an anomaly. Still, Perry said things are looking good as 2018 finishes and 2019 nears. “The economy is stronger than people expected it to be half a year ago, stronger than I expected,” he added. But, Dhawan is cautious looking at the economy in 2019 — for businesses, including trucking, and consumer spending. Dhawan sees slower, steady growth in the trucking industry and across the U.S. economy with the gross domestic product increasing in the 2-2.5% range next year. He is not forecasting a recession unless three things happen simultaneously: First, the Federal Reserve raises interest rates too fast; second, trade negotiations with China falter; and third, the United Kingdom’s departure from the European Union fails badly. ATA’s truck tonnage report comes just days after many of the nation’s largest ports reported September and October were record months. Shippers are anticipating a big holiday shopping season, and goods were being rushed into the United States ahead of tariffs against several nations, including China. The Port of Los Angeles processed a record 952,500 industry-standard 20-foot-equivalent units, or TEUs, in October. That marked a 27.2% increase from nearly 748,800 in the same month in 2017. October also was the busiest month in the port’s 111-year history. The port estimates that the U.S. tariffs on Chinese goods as well as retaliatory duties could impact 15% of the shipments that flow through the facility. Along with several other ports, the Port of Oakland said Nov. 16 it had its busiest peak season ever for imports during the past three months. The port said it handled the equivalent of 250,686 TEUs from August through October, the traditional highwater mark for container shipping. That broke the peak season import record of 233,825 containers set in the summer and fall of 2017. 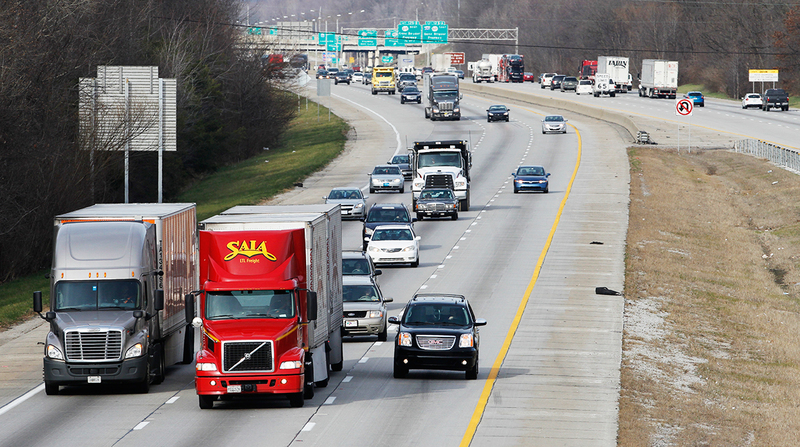 The latest ACT Research For-Hire Trucking Index also shows tightness is returning to trucking. The report showed the supply-demand balance increasing to 55.6% on a seasonally adjusted basis in October from 50.1 in September. Staff Writer Daniel P. Bearth contributed to this report.